Jane and Rafael are still at odds on tonight's Jane the Virgin. It's Mateo's first Christmas on this week's new episode of Jane the Virgin, airing Monday, December 14 at 9 p.m. ET/PT on The CW. 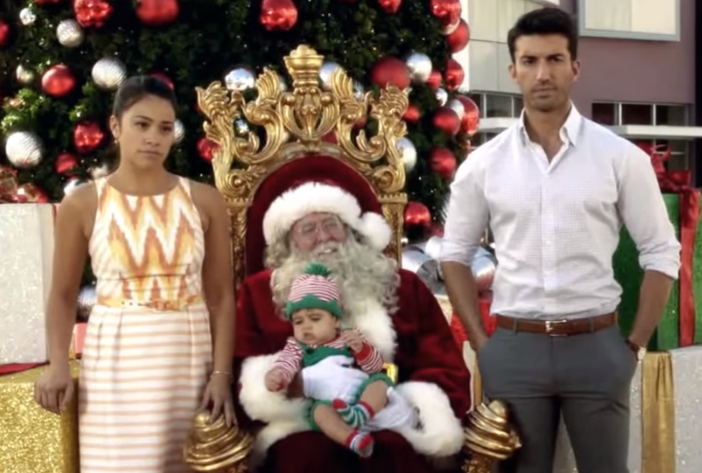 In "Chapter Thirty" (the fall finale), Jane (Gina Rodriguez) and Rafael (Justin Baldoni) are still at odds with each other as they are about to celebrate Mateo's first Christmas. Jane discovers that the scholarship she thought she had been awarded isn't quite that and now needs to find a way to pay for grad school. Rogelio (Jaime Camil) has employed an intern and is having trouble trusting him. Petra (Yael Grobglas) is struggling with the latest dilemma her mother has gotten them into. Meanwhile, Michael (Brett Dier) is trying to find Luisa's mother who he now suspects is not dead and may be involved with Sin Rostro. Watch a sneak peek video below. Andrea Navedo and Ivonne Coll also star.